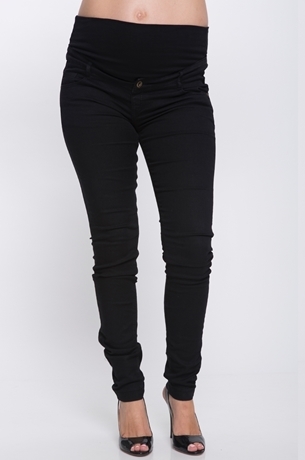 Elastic insets allow for a comfortable, expansive fit in this Bestselling maternity jeans. Formfitting Stretch Denim detailed with a wrinkle whiskering treatment in the front, and an all-over fade. Year- round staple denim for before during and after pregnancy. Classic 4- pocket styling.